Spring Break 2011 started on Saturday, April 16 with a road trip from Kensington, Maryland to Savannah, Georgia – a 600 mile drive that took almost 12 hours. My post-trek reward? Beer! The past few times we’ve taken a road trip from DC to visit my parents, who live just south of Tampa in Ruskin, Florida, we’ve stayed overnight in Savannah. 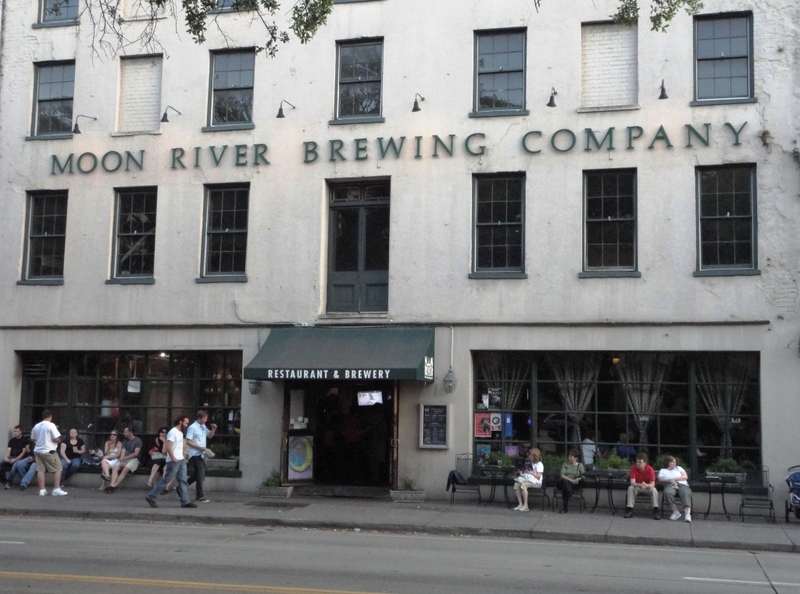 We love stopping in Savannah, where we enjoy a leisurely dinner followed by a stroll along River Street by the Savannah River. It’s a pretty, historic city with traditional southern charm. And it has a brewpub! Wild Wacky Wit (4.8%), a Belgian Wheat Ale, spiced with curacao bitter orange peel and coriander. Beth had two pints of this light and refreshing beer. Apparition Ale (4.8%), this English Pale Ale is a perfect session beer. Swamp Fox India Pale Ale (7.0%), Like its namesake, this ale is known for the sneak attack. Hoppy and flavorful; my favorite of the sampler rack. After the sampler, I enjoyed a full pint of this one. Captain’s Porter (6.0%), Close your eyes, take a sip and think dark chocolate. Don’t be afraid of the dark! Very nice as a dessert beer. Six Degrees (5.1%), a fruity, spicy Belgian Golden Ale. I learned something cool about Savannah when we asked for the check. The server asked us if we wanted a beer to-go – apparently in Savannah you are allowed to walk around with a beer, as long as it’s in a to-go cup. I wish we had more time to spend in this festive southern town, but we had a six hour drive ahead of us the next day, along with a hunt for good Florida beer. 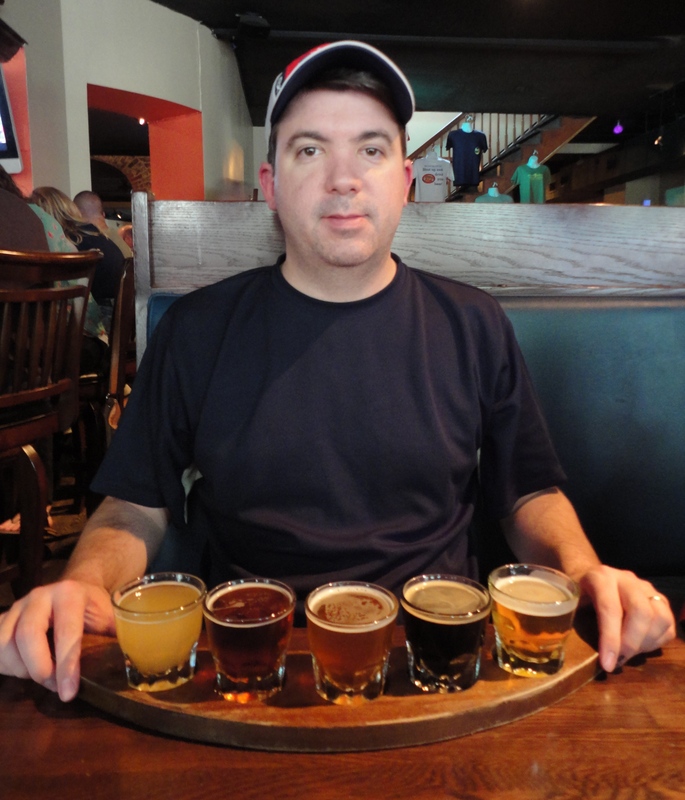 I know that sounds like an oxymoron, but you’d be surprised at the awesome brewpubs and brews that we found. Spring Break 2011, Part 2 coming soon!